My roommate Andy gave me the best book. I cant wait to see the movie of it. 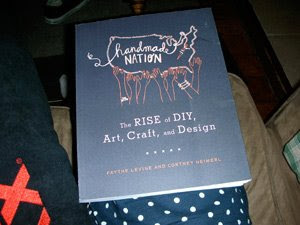 Handmade Nation. The perfect book for anyone aspiring to turn their craft into a job. Buy this book! Read their blog! See their movie!